Kylie Jenner stepped out to celebrate her BFF Jordyn Woods' 21st birthday on Thursday night. The Keeping Up With the Kardashians star was without baby Stormi Webster and boyfriend Travis Scott as she helped her pal kick off her birthday weekend. Kylie donned pink hair and a strapless mini dress for the celebration, which began with a small dinner at Petite Taqueria in West Hollywood. "It was very small and private on the upstairs area of the restaurant," a source tells E! News. "They all looked like they were having a blast together and were enjoying their privacy. Jordyn and Kylie were inseparable at the table, and were laughing the entire time. Both girls looked really happy and were having a fun dinner." "Several dishes were brought to the table such as nachos, taquitos, guacamole and endless margaritas," the insider continues. "Dessert was brought to the table with sparkler candles, and everyone sang 'Happy Birthday' to Jordyn and cheered loudly. Kylie and Jordyn had a moment during dinner where Kylie told her how much she loved her and appreciated her, but there was no 'speech' made." The group continued their night at Poppy nightclub, where they had a private table. 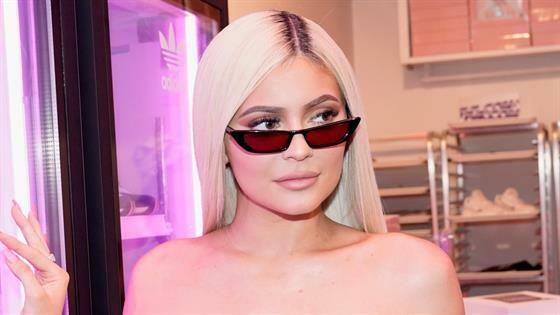 "Although the club was still open to the public, they made sure that Kylie and Jordyn were tucked away and not accessible," the insider shares. "They wanted to make sure Kylie felt comfortable and could have fun with Jordyn without worrying about fans approaching her all night." The source also says that the BFFs were "having a lot of fun," dancing and enjoying the music. "Kylie looked like she was in a great mood and was smiling a lot," the insider shares. "At one point, Jordyn and Kylie shared a sweet hug." 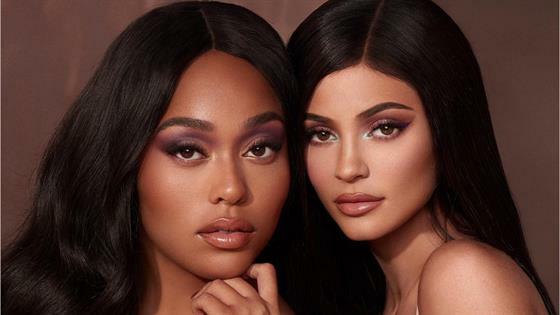 Kylie and Jordyn, who officially turns 21 on Sept. 23, also documented the festivities on social media, posting videos from the celebration throughout the night. After enjoying themselves at the club, the duo decided to head home around 1:45 a.m.
"When you ditch the club to sing love songs with your wifey," Jordyn captioned a video of her and Kylie, singing along to songs on the car ride home. Jordyn also posted a video of a cop pulling their car over on the ride home, telling followers, "We done got pulled over, but we didn't drive, it's OK."
It was just last year that Kylie gave Jordyn a car for her 20th birthday. Amid pregnancy speculation, Kylie stepped out to celebrate her best friend's special day at Malibu Wines Safaris. During the celebration, Kylie posted pics on Snapchat of the Mercedes and of Jordyn crying after being given the car.